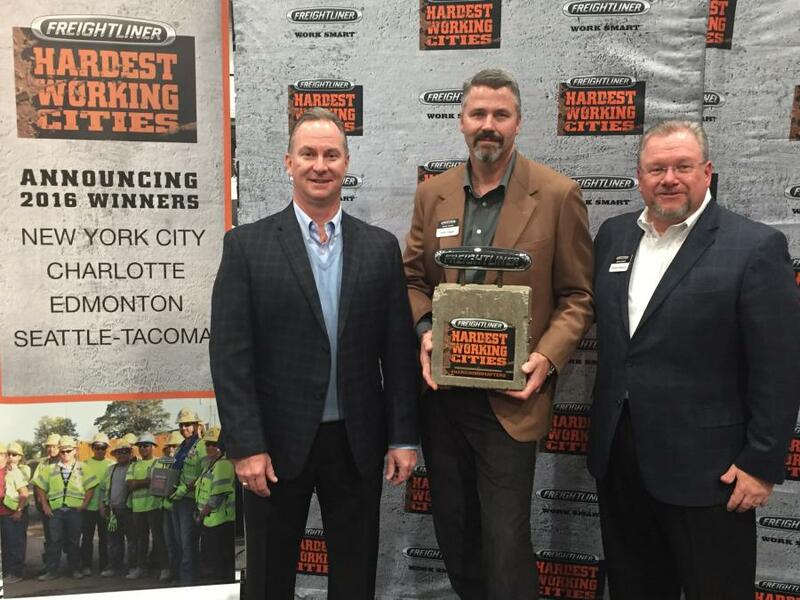 Following the successful launch of the Freightliner Trucks Hardest Working Cities recognition program, Freightliner announced four new cities will be recognized with the award in 2016. The company released the full list of cities at the World of Concrete trade show in Las Vegas during a reception in the Freightliner booth. The award winners for this year will be: New York City, Charlotte, Edmonton, and Seattle-Tacoma.